In 1935, the Soviet government decided to establish a permanent show ground in Moscow to exhibit the achievements of the union’s agriculture. Although it was opened officially as long ago as 1 August 1939, it still today remains an attractive and popular amusement park and trade show. The Muscovites continue to call it VDNKh (ВДНХ), after the acronym of the name it bore from 1959 till 1991: Выставка Достижений Народного Хозяйства or Exhibition of the Achievements of the National Economy. Industry Square (Площадь Промышленности), one of the many spacious squares scattered over the park, has always been a show ground for the achievements of the Soviet and Russian aviation industry. A pair of new exhibits was added in early 2015. They were photographed on New Year’s Day 2016. 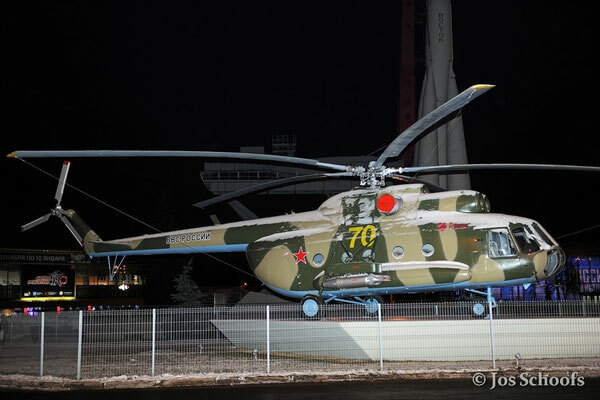 With more than 12,000 produced, the Mil Mi-8/Mi-17 (NATO reporting name “Hip”) is among the world’s most-produced helicopters and was or is used by around 80 countries. Mi-8 with construction number 4231 was built in Kazan in 1974 and entered the Soviet Air Force as 70 Yellow. 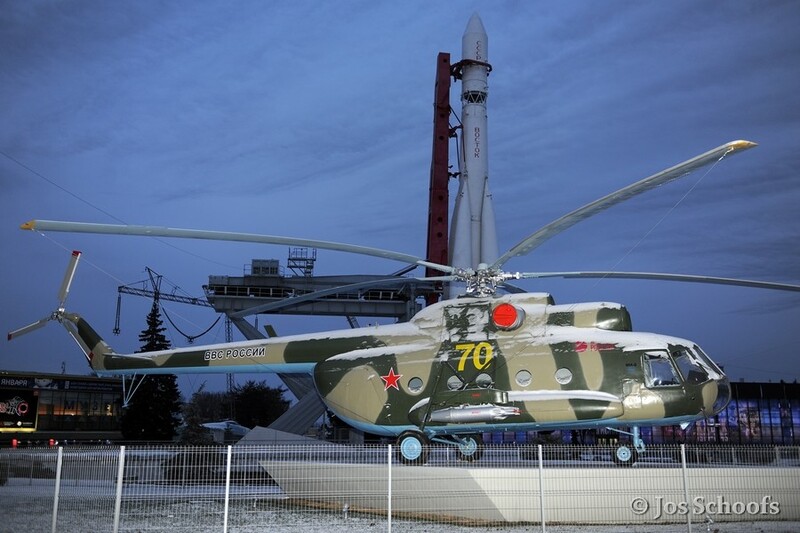 It is in this guise that the helicopter is displayed at VDNKh’s Industry Square since early 2015. The rocket in the background is a Vostok (Восток – East) spacecraft developed in the late 1950s for unmanned as well as manned spaceflights. It was launched for the first time in 1958 and served until 1991. The first examples of the large family of Sukhoi Su-27/35 (NATO reporting name “Flanker”) multi-role fighter aircraft entered service with the Soviet Air Force in 1985. Over 800 have been built to date for a dozen of air forces worldwide. 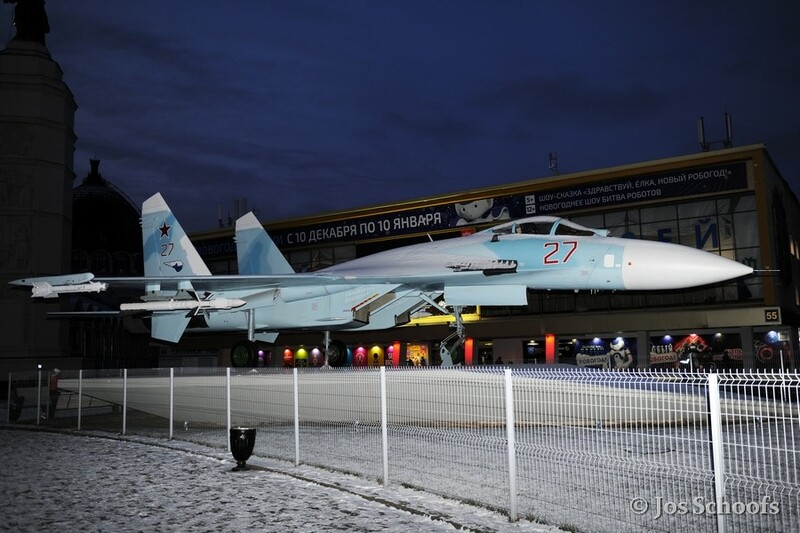 A nicely restored, but further unidentified example of the Su-27 arrived at VDNKh’s Industry Square early last year. The aircraft carries the fictive code number 27 Red, referring to the type’s designation. 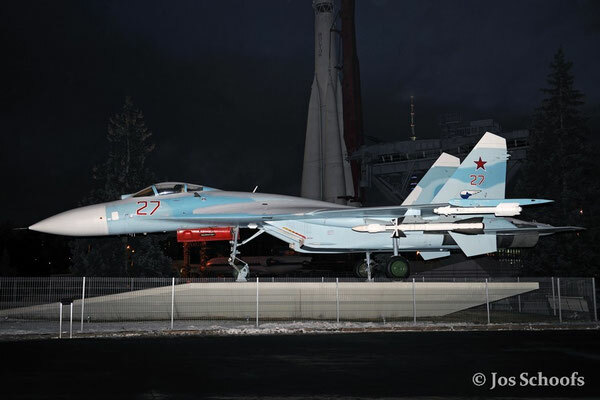 The Sukhoi fighter is armed with a pair of Vympel R-73 (AA-11 “Archer”) infrared guided short range air-to-air missiles and a pair of Vympel R-27 (AA-10 “Alamo”) radar guided medium range air-to-air missiles. 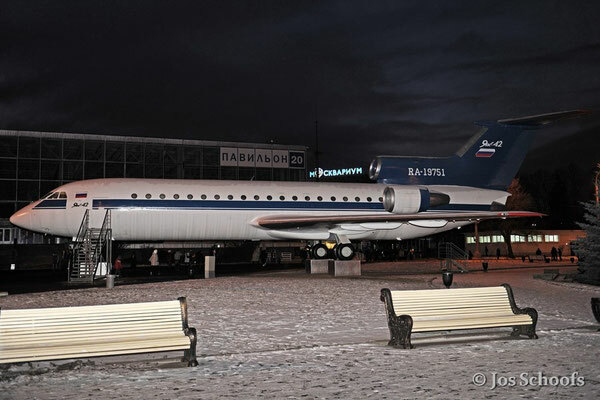 The Yakovlev Yak-42 (c/n 11820201) airliner displayed at VDNKh’s Industry Square is the type’s second production aircraft and was built in Saratov in 1979. 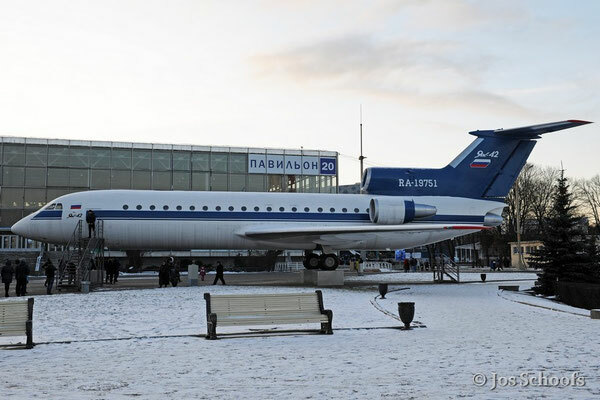 It flew for a short while in an Aeroflot colour scheme with registration number SSSR-42304 (СССР-42304) and is now carrying the fictive registration number RA-19751, referring to 1975, the year in which the first prototype made its maiden flight. The aircraft is on display at VDNKh in various colour schemes since 1981.